Gaining a professional sports franchise normally boosts several sectors of the local economy. 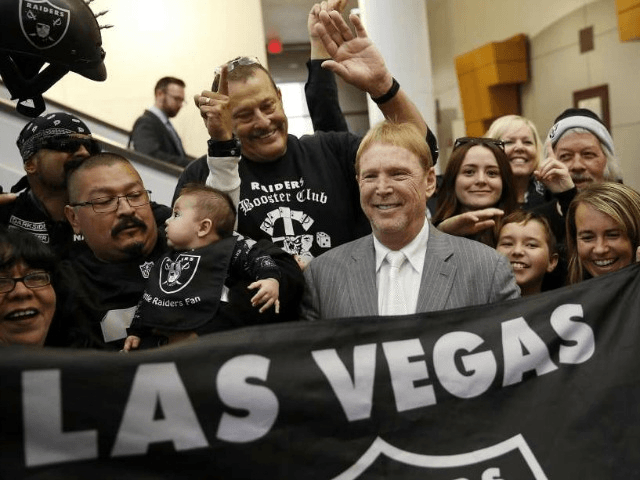 In the case of Las Vegas’ acquisition of the Raiders, the NFL’s arrival in Sin City might boost the world’s oldest profession. But, that’s not all. Hof also told the Sporting News of a special Raider tribute, to an extra-special Raider customer. According to the Sporting News, “And, because Hof is a master of class and taste, he said the brothel’s VIP area, which will be available only to Raiders players and other high-profile athletes, will be named in honor of the late Darrell Russell, the former Raiders player who Hof says was a regular at his Bunny Ranch in the state (prostitution is legal in parts of Nevada). No potential trouble here for a league that’s been tarnished by multiple recent incidents of violence against women. Nope, no trouble at all.